Click the arrows to scroll through for more reviews! Forming relationships and wowing clients with amazing photos is my goal, so it means everything to me when someone takes a moment to write me a thank you note. If you are looking for wedding photographer reviews, out what my clients have to say! "Beyond her professionalism her work is phenomenal." My husband and I are official Heather Parker fans! Heather photographed our October wedding. 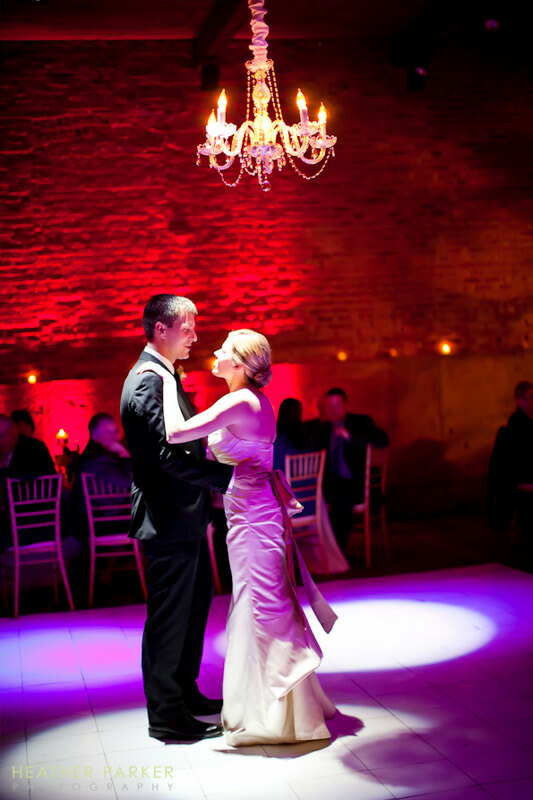 She was recommended to us by our venue, as we had our wedding in an old warehouse that required an experienced photographer to work within the unique aspects of a dark room. We were so impressed from our initial meeting with Heather (via phone since we were planning our wedding long distance) and didn't think to look at anyone else! Not only was Heather extremely helpful and very responsive with the photography aspect of our wedding, but she was also forthcoming with recommendations for other vendors (including our amazing DJ!) and suggestions to consider when choosing makeup, photo locations and planning out the schedule of the wedding day! Beyond her professionalism her work is phenomenal. She has such a gift for truly capturing the moment that my family and friends feel as though we are reliving the wedding day each time we look back at the photos. I highly, highly recommend Heather! "she will capture every aspect of your event flawlessly"
I don't think a better combination of talent exists and I couldn't have dreamed of a better partner to capture the most important day of our lives - so, seriously - stop searching, meet with Heather, and if her photographic style is right for you - trust that she will capture every aspect of your event flawlessly and exceed your expectations at every turn. 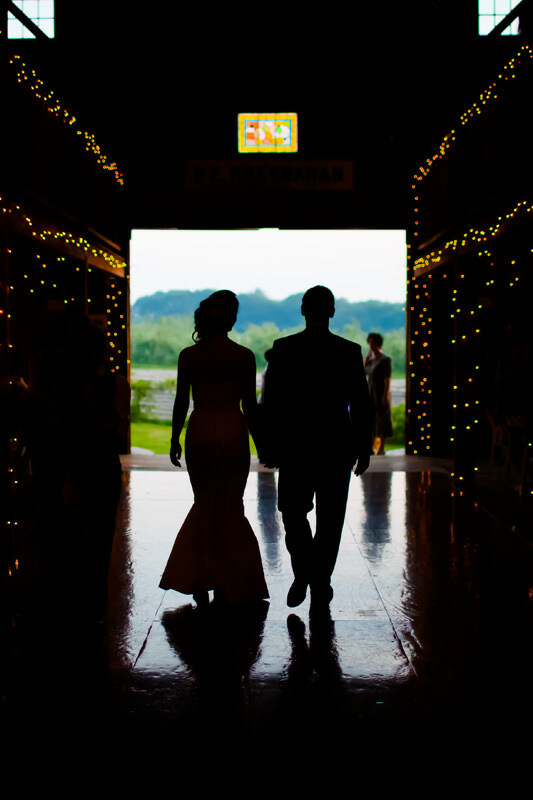 "Heather took the time to get to know me and my fiancé, and I can see that in our wedding photos"
Heather Parker was recommended to us by our wedding venue in a list of other photographers. After checking out all of their online portfolios, Heather's work was the clear stand-out. I was particularly drawn to her use of color and composition, but what really set her apart was her ability to capture real moments. Her photography is stunning, and it avoids many of the cliches associated with wedding photography. My fiancé and I met her for coffee before deciding if we wanted to hire her. In person, she was unassuming, funny, and I immediately felt comfortable around her. After that initial meeting, there was no question that we wanted to book Heather. I feel like Heather took the time to get to know me and my fiancé, and I can see that in our wedding photos. From that first meeting, to our outdoor engagement photoshoot, to the actual wedding day, we spent more time with Heather than with anyone else who worked with us on the wedding. It is truly special to see all of our friends and family members through Heather's lens, and I think none of us have ever looked better. Heather is a professional when she's working. She does not waste time, she is completely organized, and above all else, she delivers incredible results. She was clearly shooting with us in mind; what was important to us, what we thought was funny, candid moments that she knew we wouldn't want to miss. The result was an incredible set of photos that really captured who we are as a couple, and her familiarity with us made the wedding look even more beautiful than I remember it. This was money well-spent and we will cherish these photos forever. "we hired her on the spot and cancelled our future appointments." After meeting her for just a few minutes and seeing her unique photojournalistic style, we hired her on the spot and cancelled our future appointments. She has a great sense of humor and was relaxed but thorough throughout the planning process and on the day. She really caught the feel of the day, from the getting ready pics, the emotion of the ceremony, and the candid moments, to the overall look/feel of the reception. When it started snowing, we were doubtful of how many good pics we would get around the city, but Heather’s creativity led to some amazing photos that we constantly receive complements on. 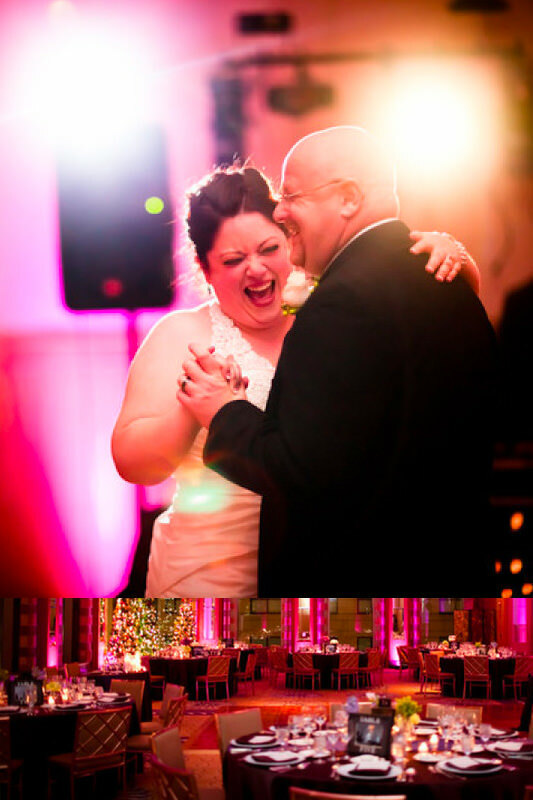 And to top it all off, she put together the most incredible wedding album that I could ever imagine! Thank you Heather for being part of that amazing day!
" responsive, prompt, honest and also just really fun to be around." Heather photographed my wedding and she was amazing! 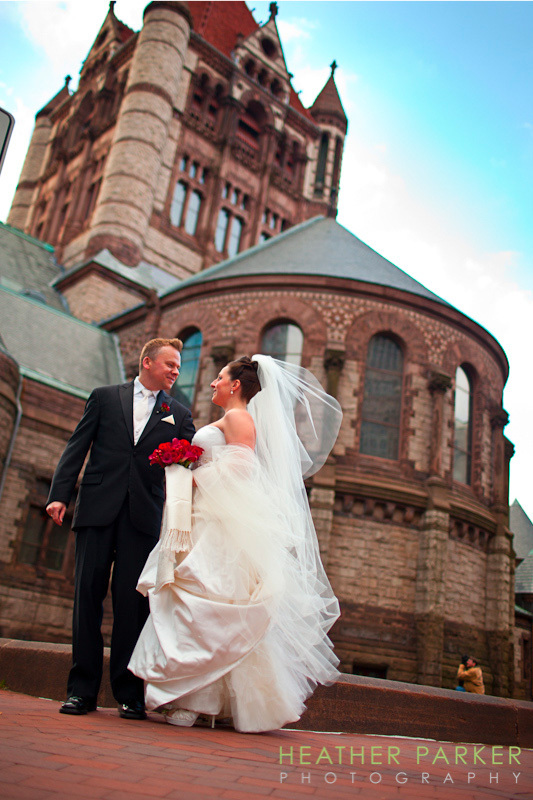 Her photos of our day were featured in The Knot Boston Magazine – a testament to how talented she is. I read a million blogs and reviews and when I landed on Heather’s page I loved it immediately. She has a gorgeous sensibility that is artistic but not over-the-top. She has an incredible talent for documenting the day authentically but making everything seem just that much sweeter. She was responsive, prompt, honest and also just really fun to be around. She also shot engagement photos of us in NYC and her photos of us on the Brooklyn Bridge were beyond. I think it’s actually pretty important that you like the vibe of your photographer because they’re a big presence on your wedding day, and Heather is just calm and cool and great. "a talented, fun, artistic photojournalist"
Heather Parker is a talented, fun, artistic photojournalist and we were lucky that she was available for hire on our wedding day. She was able to capture very meaningful and memorable shots but by blending into the crowd without adding ANY undue stress. It was incredible and I am not certain how she was able to accomplish the task. 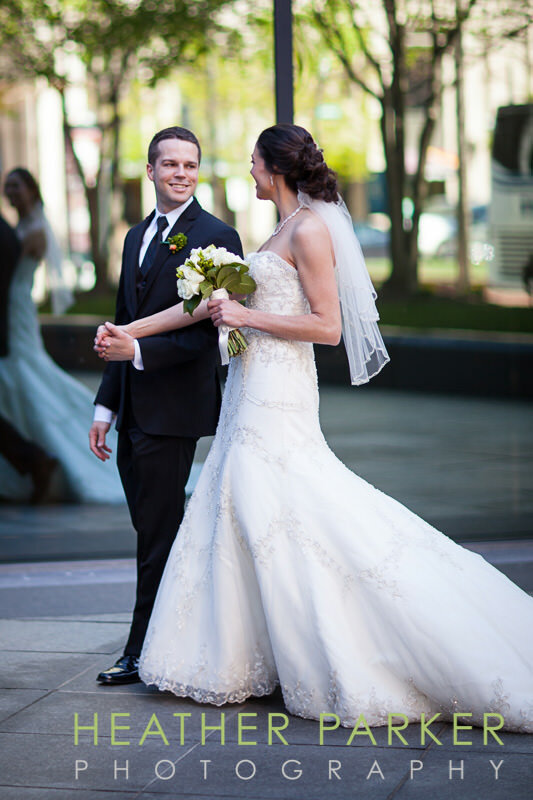 Brian and I were married in Boston and really wanted a photographer that would fully engage in the most special day of our lives, we searched for the best and found her! Heather travels the world so we instantly had a connection. It felt like she really knew us and captured the love that binds us from this day forward. The detail and quality of her work is impeccable. You will be amazed. No questions asked she is the right choice. "Heather is worth every penny"
When I started planning our wedding, I was addicted to websites and reading other vendor reviews. Heather’s name was one of the most popular ones listed. I looked at her work online and knew I wanted her to photograph our wedding. The minute my fiancé met her and saw her work, he was impressed. She absolutely knows her stuff and has taken gorgeous photo. Heather’s photographs and what she can do without a flash is amazing. Heather is worth every penny and is an amazing photographer and we keep getting compliments on the photos. "comfortable to work with which is critical"
FABULOUS! If she’s available for your wedding, book her. Aside from being a very creative shooter, Heather is very comfortable to work with which is critical because it really shows in your pictures. She really cares about what she’s doing and that really shows in the quality of her photos. I have nothing negative to say, Heather was wonderful. I remember what the day felt like every time I look at my photos. 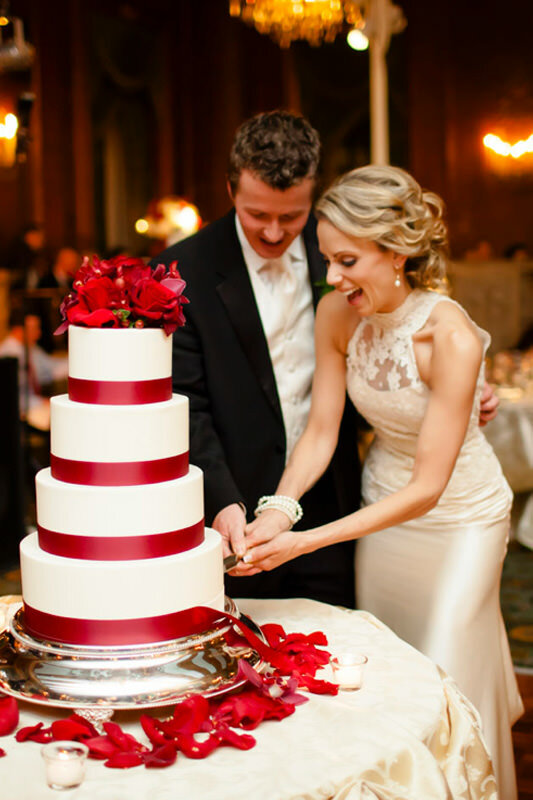 I have had the pleasure of working with Heather Parker on numerous occasions in some of Chicago’s grandest ballrooms. She is super fun to work with, always enthusiastic and professional. She takes AMAZING photos! She has been kind enough to share some wonderful photos with our band over the years and I am just blown away by the unique and beautiful images! As a DJ that frequently works private functions on a regular basis, Heather is the sort of person I love running into at events, as she’s exceptionally professional, friendly, and courteous-and her talent as a photographer is exceptional. Myself and many members of my DJ roster have had the pleasure of working with Heather, and its always been such a positive experience. 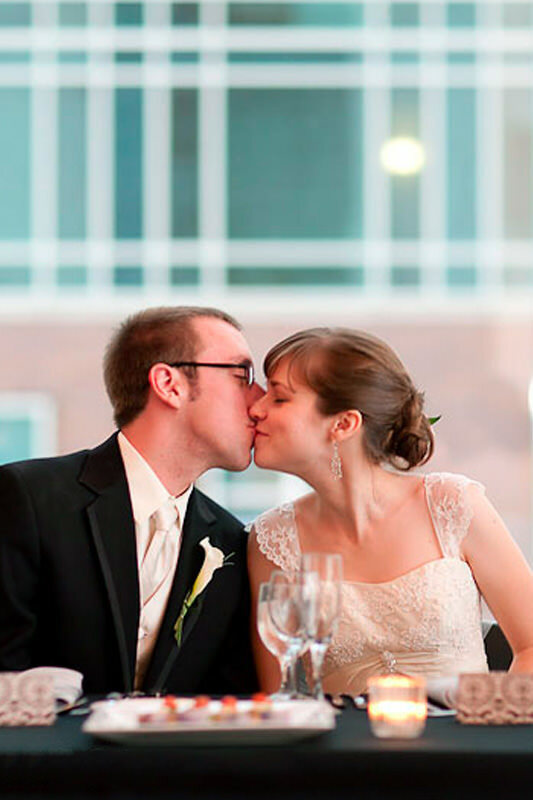 If you’re in the market for a photographer for your wedding, I would highly recommend Heather, without hesitation. We’ve had the distinct pleasure of working with Heather Parker on dozens of occasions over the years. She’s an absolute joy to be around and clearly has a deep rooted passion for her craft. In a day and age where everyone with an Instagram account claims to be a photographer, Heather hushes the crowd with her art. Heather Parker may be the best photographer I have ever worked with, I joke, she totally is. Her skill and artistry are insane. She will make you, your guests and your party look awesome! You will love your photos, as will your friends and family. We LOVE when she takes picture of our events. She makes our food, our space and even our team look awesome. When we selected Heather to be our wedding photographer, my fiance and I wanted someone who was talented, artistic, easy to get along with, and someone who had an eye for detail. We have found all of these qualities in Heather. She did not disappoint. she was creative and took advantage of the moments where something unique might look nice in our background. The room we had at the University Club was a little dark, but she managed to not make that an issue. Once we got our pictures back, in the time she had promised, we couldn’t have been happier. 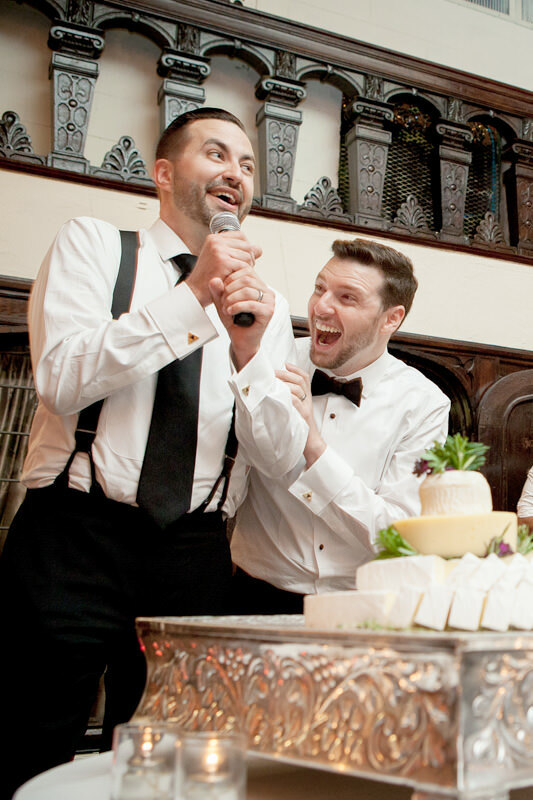 Heather captured the pure joy we were feeling in so many candid shots that I couldn’t have imagined. We had such a positive experience. Ross and I were married on July 21 of this year. Like most couples, getting a great photographer was important to us. After doing research and calling many (as is expected, Chicago has a fair number of wedding photographers), I ran into Heather as our potential photographer. Immediately, we clicked on the phone. I think we talked for over 30 minutes. Heather is extremely thorough and takes her job seriously. She wants to get the best pictures possible for you and she doesn't beat around the bush about it. I so appreciated all her pointers and tips. Towards the end of the planning process, I turned to her to ask questions to make sure she thought it would be okay with the pictures. We had so much fun with her at our engagement session and loved how our pictures turned out. She was so helpful and caring at the wedding, and our wedding photos received so many compliments. Ross and I are so happy we went with Heather.